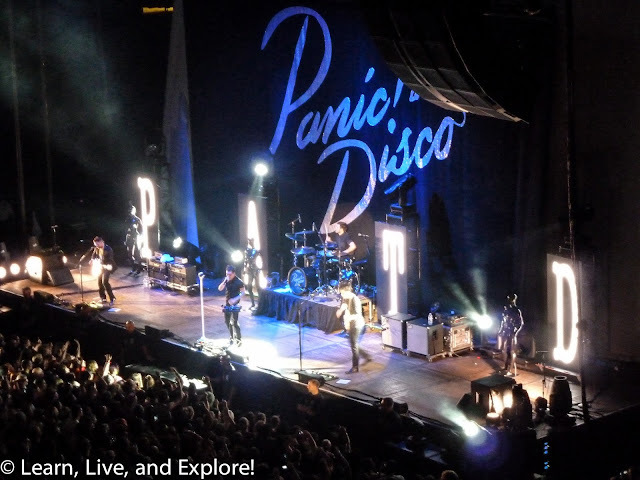 Save Rock and Roll Tour - Panic! at the Disco and Fall Out Boy ~ Learn, Live, and Explore! There are some concerts where you just go for the opening act. 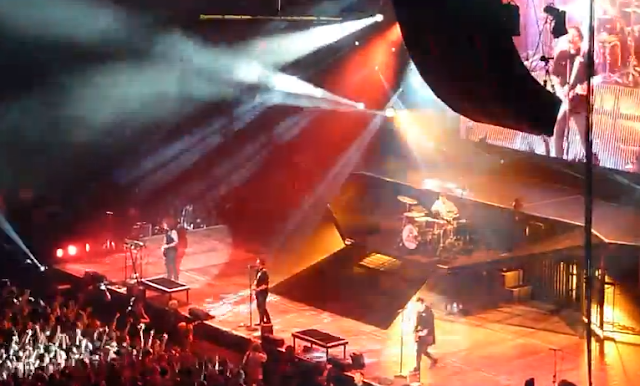 Tonight in Fairfax, Virginia was that kind of night. Panic! at the Disco may not be very mainstream, but for some reason they have been one of my favorite bands since they first hit the scene in the summer of 2006. I recall listening to their debut album, A Fever You Can't Sweat Out, on a constant loop in the car, which to most is strange because the songs are not your typical rock or punk songs. Panic! 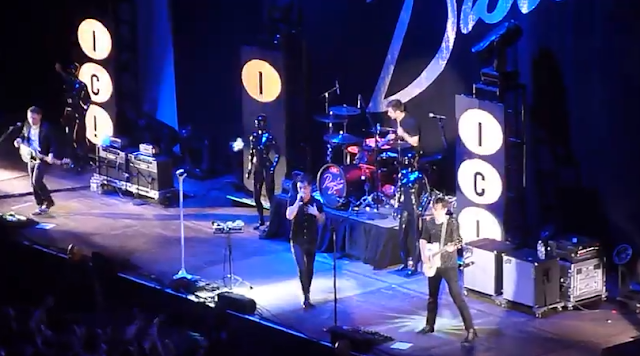 at the Disco in 2013 is half of the original four - Brendon Urie and Spencer Smith. Unfortunately, due to Spencer's current struggles with sobriety, he had to leave the Save Rock and Roll tour in its early weeks because he was not ready for the sometimes alcohol-driven tour lifestyle, so tonight's performance had a substitute drummer. But, it was still a great show, and kudos to Spencer for making the right decision for his health! I was very happy that, even with a new album coming out, Panic! played most of their set from the debut album. The remainder of their set included their current hits, "Miss Jackson" and "This is Gospel," plus others like "Nine in the Afternoon," "Mona Lisa," and "Ready to Go." I also dug into my old files and found Panic! videos from their first national tour in 2006. Now that was a very entertaining concert - songs and staging!